People Matters Are You In The List Awards, which is in its eighth year of running, has been the beacon to recognizing emerging future HR leaders. Either you are in the list or not. 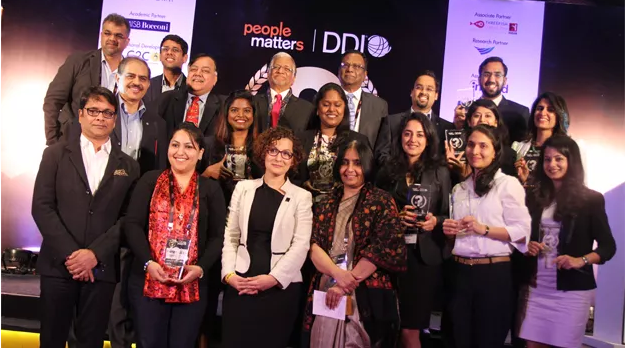 People Matters Are You In The List Awards, which is in its eighth year of running, has been the beacon to recognizing emerging future HR leaders. The one of its kind initiative aims to identify young emerging HR leaders to build the future pipeline of HR leaders. What makes this initiative stand out is that fact that participants have to go through a 6-stage rigorous process that separates the wheat from the chaff. Starting from the online application to cognitive ability testing, candidates are screened for their cognitive abilities as it relates to success on the job. But cognitive ability is just one part of the success equation. Is the applicant ready enough to be good leader or in technical terms Manager Ready? This is what is tested in the third stage of the process- Leadership Assessment. The shortlisted candidates undergo DDI’s online Leadership Assessment to identify their readiness to take on managerial roles. They then undergo a Video Interview process where shortlisted candidates are required to record their video, answering pre-determined questions on video platform to assess whether the applicants display the required competencies to be that trailblazing leader. But who can be a good leader without setting a good example? This is precisely why in the next stage candidates volunteer for a cause of their personal choice and submit an 800-1000 words write-up on their volunteering experience. In the final stages of the evaluation, candidates are further evaluated on the skills required to be a successful HR Leader through a mini-assessment using a business case study method. Finally, the lucky ones move on to last stage of a one-on-one meeting with the eminent jury which helps to identify the Emerging Future HR Leaders. People Matters has been presenting these most awaited awards every year since 2012. The award journey was conceptualized in 2012 in collaboration with Development Dimensions International (DDI). Over the years, the Are You In The List platform has strengthened the process of identifying high potential talent in Human Resources in India This rigorous process of selection has ensured that the awards spot those courageous HR professionals who are anticipators of workforce and talent trends relevant to the business. It has provided high visibility to the top talent and has opened up opportunities for them to work with the best in the industry thus raising their own standard of performance. But this legacy just does not end at spotting these future leaders. The fact that many of these HR professionals have now made their way to the top rung of management as HR Heads/Function Heads is a testimony to the fact that the awards are not just merely corporate awards but recognition par excellence. Just last month, Are You In the List Award (2016) winner, Megha Gupta was appointed as the Director HR OF Fiserv. Gupta was earlier working with Sapient as the HR Business Partner. Similarly, in January 2019, Are You In the List Award (2016) winner, Apeksha Jain was appointed as the Head HR of Godrej Chemicals. Apeksha was earlier working in PepsiCo as the Senior Manager Talent Acquisition & Campus Lead India. RUL 2015 winner, Soumitra Acharya, was appointed by Kotak Bank as HR Head of its investment banking division. Another RUL 2015 winner Avijit Shastri was roped in by online pharmacy company 1 mg to lead their HR function. And this legacy continues year over year. In August last year, the 7th Edition of People Matters Are You In The List 2018 saw 14 finalists being crowned as the future 'Emerging HR Leaders'. The ceremony was preceded with an exclusive Masterclasses from Shane Watson, former Australian Cricket Captain. 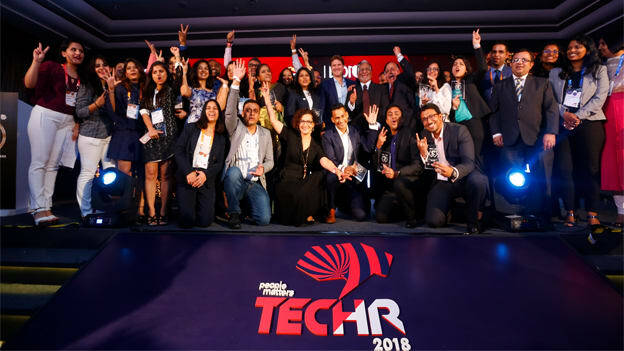 In the year before that, 11 HR professionals from diverse industries took home the coveted crown of Future HR Emerging Leaders. This year too, the awards will endeavor to identify a handful of such talent powerhouses who have it in them to successfully chart the course of future for their organizations. Do you think you are one of those torch bearers who can go through the grind and emerge victorious as the leader of tomorrow? 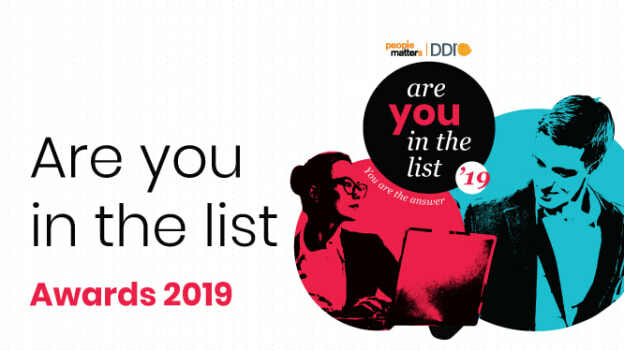 Then here’s your chance to make it to the coveted list of People Matters Are You In The List Awards 2019. Apply here to find whether you have it in you to make it to the list. Check out the winners of Are You In The List Awards 2018.